So the kids are begging you for a dog, and you don’t want a breed that’s too big. But which breeds will play nice with your children? And which ones are easiest to train? And which ones tend to bark non-stop and annoy the neighborhood? As you can see, this decision shouldn’t be taken lightly, but that’s where we’ll provide a little extra guidance. We’ve selected the smaller breeds that are best suited to life with a family with younger children. As well as highlighting some of their challenges. The #1 golden rule when adopting a new dog: You shouldn’t pick based on cuteness alone, that’s where big mistakes happen. Whether rescuing or adopting a new puppy, each dog is unique with their own personality and traits. Take into consideration their energy level, trainability, level of maintenance, and their patience for children. While these small dog breeds are well suited for families, they don’t come pretrained. You’ll need to spend the time and effort to get your dogs (and children) to a comfortable level of training and respect for each other. But once you and your dog have a good routine of exercise, learning, playtime, and quality time – rest assured they’ll fit right into the family life. Your children and newly adopted dog can become best friends, but there are important considerations before adopting that go beyond just breed selection. We recommend you look at these vetrenarian guidelines for interactions between children and dogs. Also consider that small dogs are fragile, excitable, and tend to bark more. Often times the family dog is owned, trained, and cared for by the parents, and allowed supervised interactions with their children until they reach a certain age. 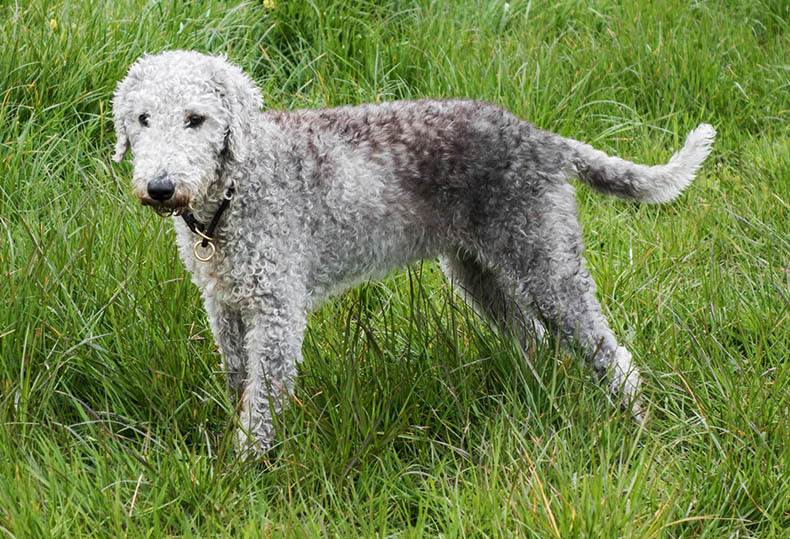 Fun and entertaining, yet loyal and loving, Bedlington Terriers are known to be great family dogs and good around children. And while they’re very friendly dogs, they won’t stand any nonsense and will certainly stand up for themselves as well as their owners. Therefore, making excellent watchdogs. These dogs are intelligent and like to please their owners, however they can be stubborn with training. Also, they also have bags of energy, and some daily exercise goes a long way. 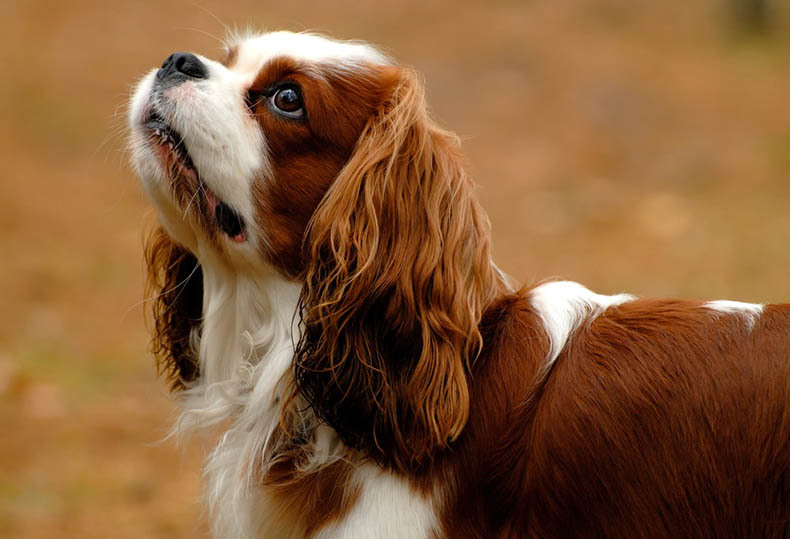 The Cavalier King Charles Spaniel are beyond affectionate and friendly, with a loving attitude that’s immediately contagious. They have moderate energy levels, and love to play and receive all your attention. However, these dogs are gentle souls, and frighten easily. Scolding, yelling, or negativity will cause the Cavalier to run and hide. Children will need to be calm and gentle when dealing with this breed. Their intelligence and eagerness to impress their owners makes them very trainable. Just keep in mind they tend to have severe separation anxiety, and do not like being left alone. 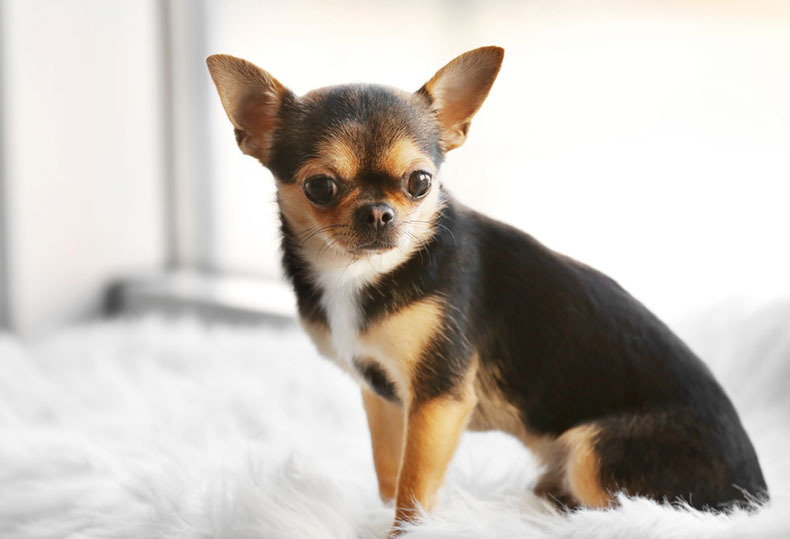 An amazing little companion, the Chihuahua loves all the attention and cuddles. However, due to their small size (and sometimes irritability) they’re better suited to older children rather than boisterous toddlers. They have lots of energy and are extremely playful. As long as you use positive reinforcement, you should have no problem training these dogs, as they are quite intelligent. Dachshunds (or sometimes called “Doxies”) are small bundles of joy that spend their days playing and napping. However, they may not be the ideal choice for those with energetic younger kids, as this breed can be possessive and even aggressive if they perceive a threat. These dogs tend to be great around older children who know how to handle them. 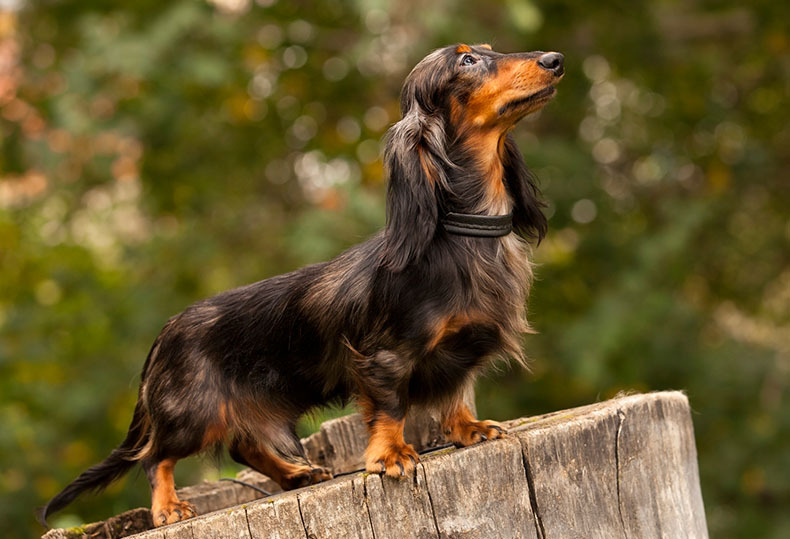 Doxies are incredibly intelligent, but can also be stubborn, dominant, or like to think they are in charge. Potty training is a very big challenge with Dachshunds. And as many owners will tell you, they will still test the rules even years after training. Affectionate and playful, this is a breed that makes a great family pet and is very good around children. Havenese are very trainable and enjoy learning new tricks as well as performing on competitions. They can be overly timid however, so early socialization can help build confidence. They respond best to a very positive training environment. They also have plenty of energy so they will keep you and your kids on your toes. These dogs are people-lovers and very loyal to their loved ones. 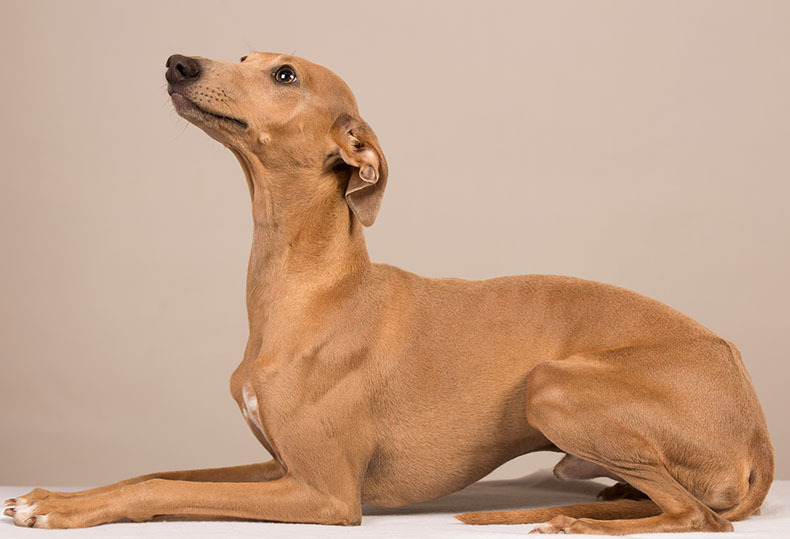 Italian Greyhound is known as an athletic breed. But what you might not expect is these dogs to have a very calm and ​lovable demeanor. While they love a good run, they especially love nap time and warming up with their owners. They can be shy and timid, so you’ll need to work with them to build confidence. They are good and tolerant with children but are better suited to slightly older children who are not likely to be rough with the pet. If they are exposed to children from an early age, these dogs are a great addition to the family. It is best to supervise them in the early stages with kids, as it is important for them to be properly socialised both with kids and other pets. 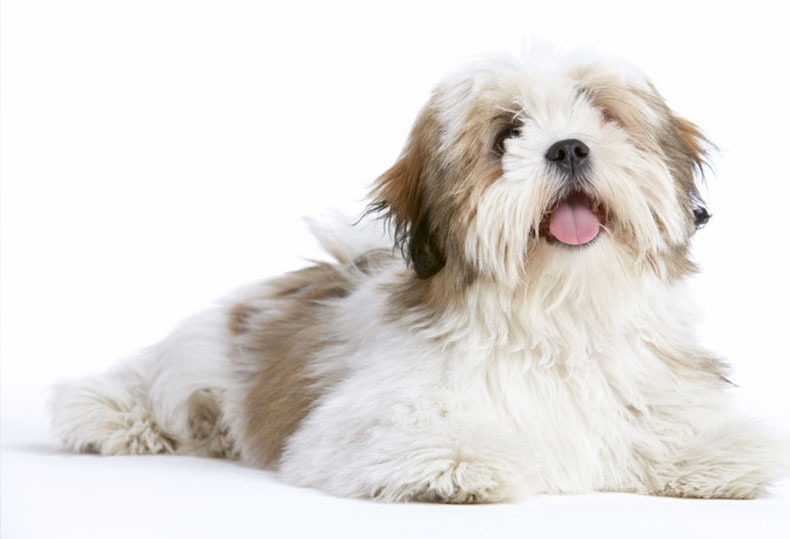 The Lhasa Apso is an active breed but does not require a huge amount of exercise. 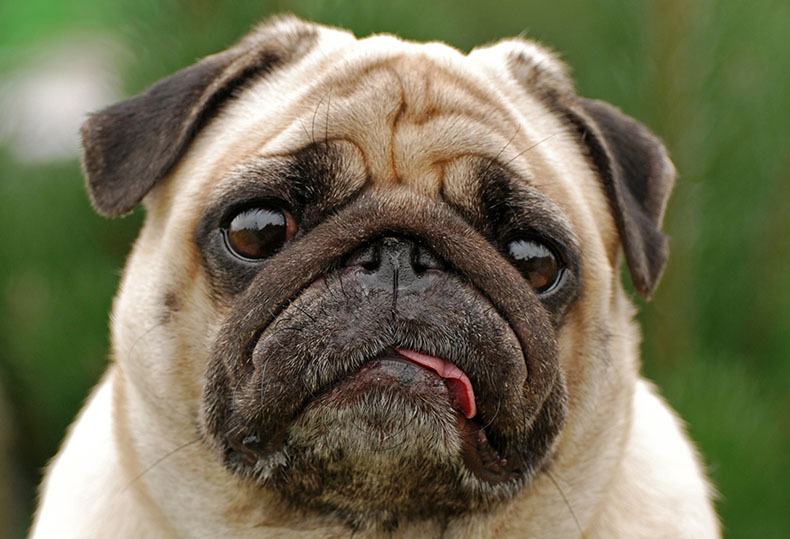 The breed can be obstinate, and this can make general training and housebreaking quite difficult. Despite their thick coat, this is a non shedding breed. Gentle yet brave, these dogs are energetic, playful and sweet with a very gentle nature. But it’s important to introduce them to kids while they’re still pups, as an older dog may feel the need to “protect” their owner. 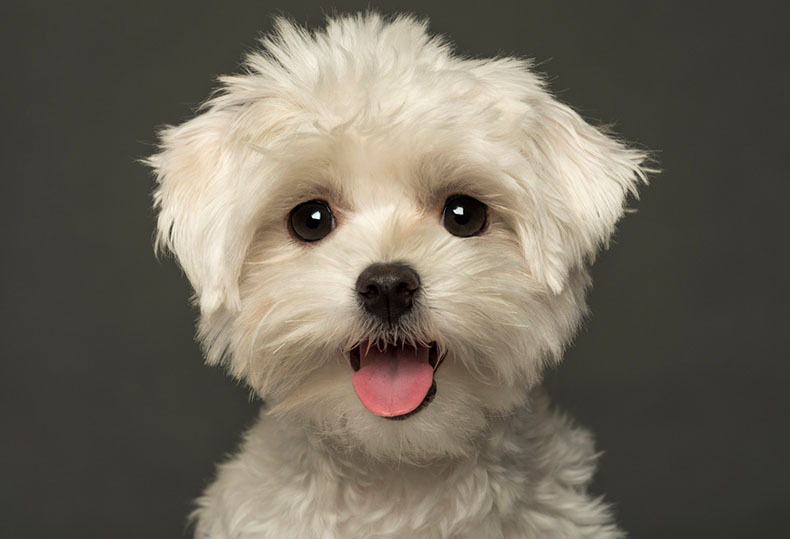 Maltese may act like a princess, but they truly love running and playing. They are highly trainable and excel at learning new tricks. These are small dogs with big personalities. Intelligent and eager to please, they are very trainable dogs. 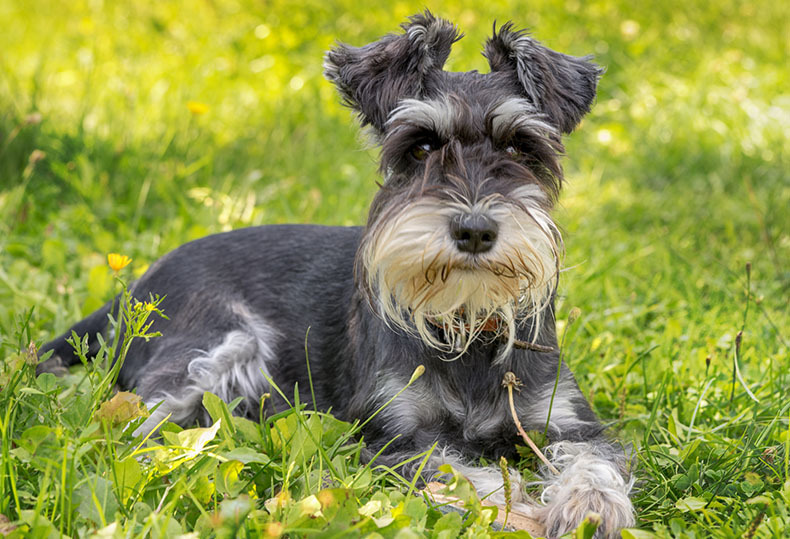 Schnauzers are also lively and energetic with a happy outlook on life and a sweet personality. But sometimes their energetic attitude gets them in trouble, so daily exercise will keep them tired and out of bad behavior. These dogs tend to get along well with other pets and are fantastic around children. 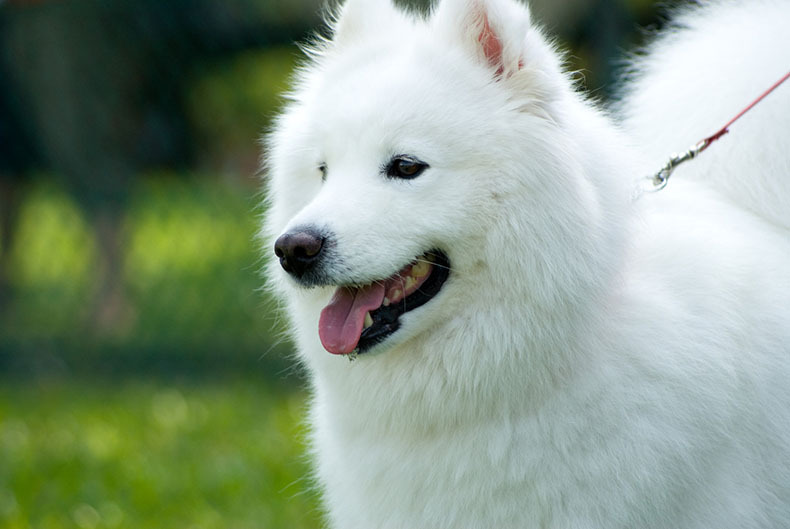 Their sweet demeanor and trainability makes them a good all-round family dog. Intelligent, friendly, fearless, and affectionate, these dogs get on well children, other pets, and just about everyone they meet. However, they are best suited to older children who do not engage in rough play and know how to handle the dog. 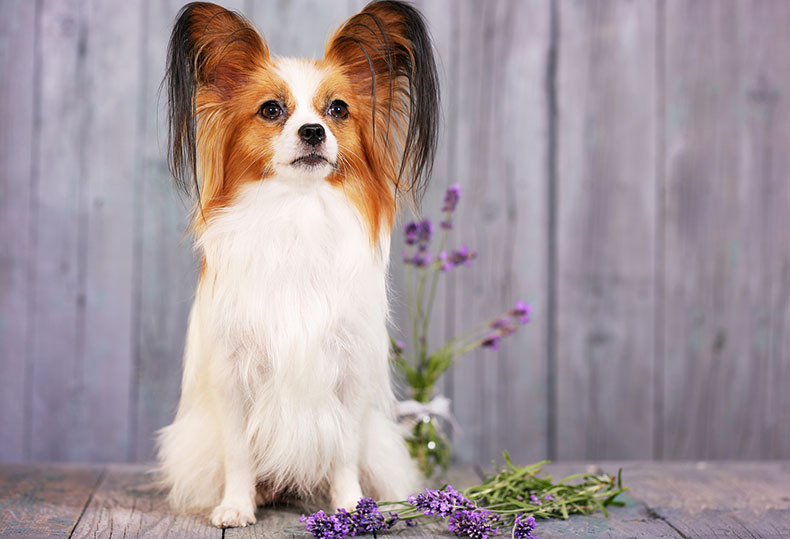 The Papillon curiosity and excitement knows no bounds, and they’re always happy to meet new people. While they’re lively and energetic, they are also obedient, which means that you should be able to train them with ease. Fun-loving and energetic, these small but sturdy dogs are little comedians and are great for families with children. They’re not the most energetic bunch, but they certainly enjoy some daily walks and playtime. However, they can also be challenging to train because they are stubborn and tend to become bored. Also, their unique face structure may lead to health problems later on, along with a lot of loud snoring and wheezing. These docile and cute dogs are great with other household pets and ideal for families with kids. Affectionate and charming, they are distinctive little dogs that are very friendly and loyal. 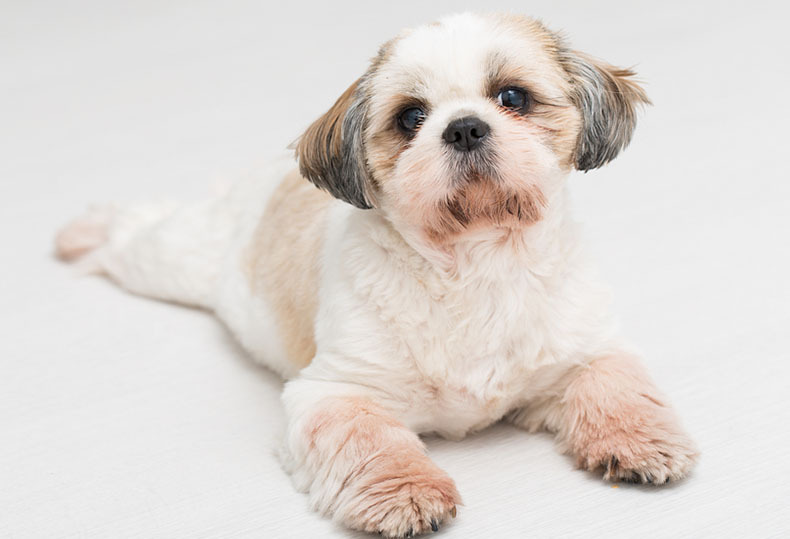 The Shih Tzu loves to learn, and this means that they are highly trainable and eager to please. 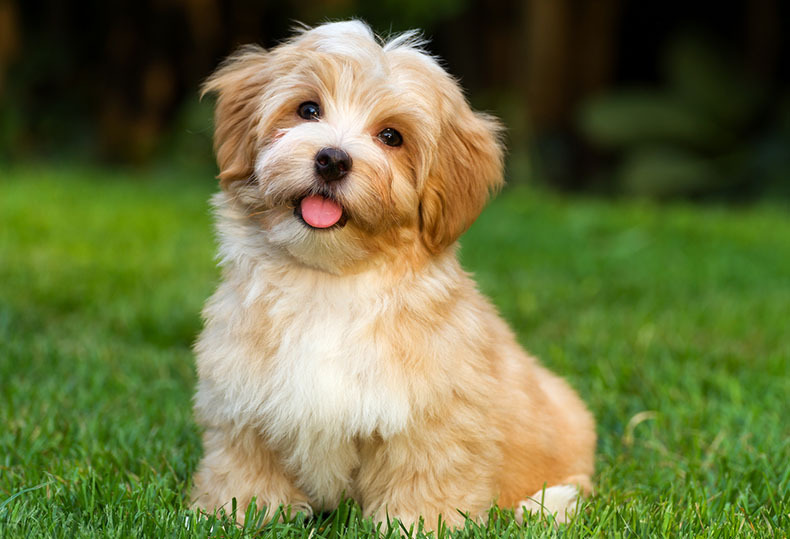 Shih Tzu’s can be quite energetic, and they love playtime and exploring to let off some of that excess energy. Here’s another little secret: the only better thing than one Shih Tzu, is two Shih Tzu’s! That’s because these dogs will flourish with a friend they can play and learn with. 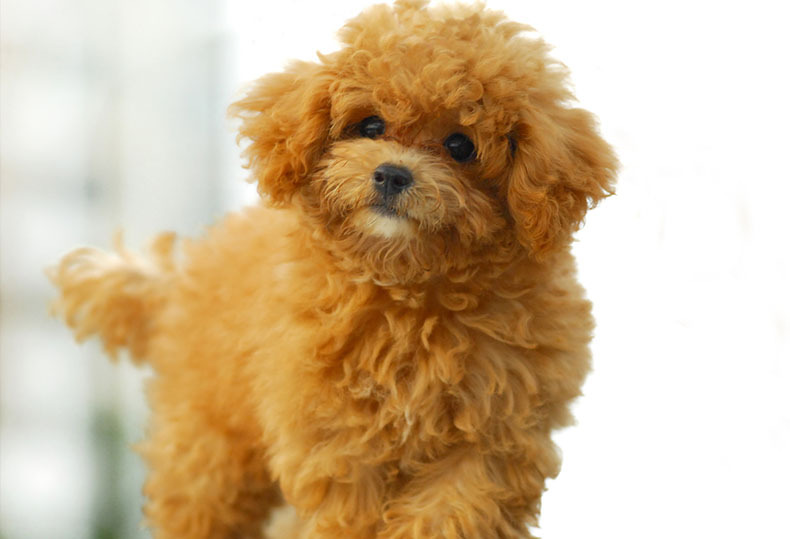 The toy poodle is a breed that is very intelligent, excellent at learning and has plenty of energy. Their ability to learn and eager to please make’s the poodle an absolute joy to train. Friendly and outgoing, they make ideal family pets and are great around children and other household pets. But because these are very intelligent dogs, they can become bored easily, which can lead to bad behavior (such as barking, digging, or running in the house). They need a assertive leader to set the rules, or they may take the roll upon themselves, which can lead to aggressive behavior. They tend to grow calmer as they mature, but still need ways to stimulate their body and mind. Polite and affectionate, these dogs are well suited to families with kids, although they are sensitive to being handled roughly so older kids are probably best. 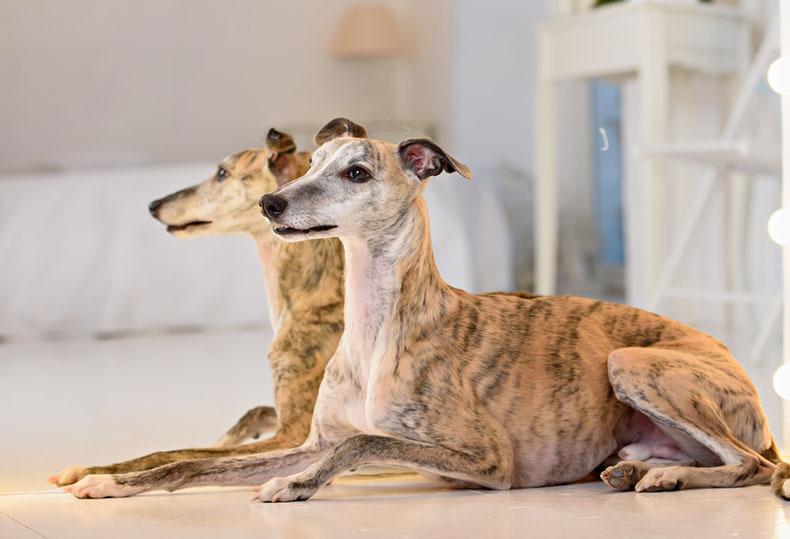 While the Whippet is bred as an athletic dog, they quite enjoy a day of napping and cuddles. These dogs are very intelligent, but they are sensitive and can be manipulative, so it is important to treat them with respect and positive reinforcement when training. While these dogs absolutely love (and need) a good walk everyday, be very careful letting them off leash. Any little creature they spot will cause them to give chase with everything they have, and they can run very fast and jump very high. We’ve covered all the most suitable small breeds for children, but we want to go a slight step further. You may want to consider selecting one of these medium sized breeds simply due to their compatibility with so many families. Here’s a few breeds that are slightly larger in scale, but have enormous hearts. Happy, intelligent, and active, these dogs tend to be amazing with kids, making them an excellent choice as a family pet. They are energetic dogs that require some daily walks and mental stimulation. But their intelligence mixed with undying love for their owners makes them easy to train. Furthermore, Eskies are considered “Velcro” dogs, and they’ll be stuck to you for the entire day, following you around the house like a curious shadow. These are not dogs you can leave alone for any long period of time. The Basset Hound is a hilarious breed known for its comedic nature and affectionate personality. They are mellow dogs that get along well with other pets as well as with children, so they are ideal family dogs. However, you may find training a struggle, as these dogs can be quite stubborn. Often times they won’t listen unless you have something really good trade in return (like a tasty treat). In terms of energy, they can be very lazy but still love a few daily play sessions or short walks. Everything that makes a dog great is in this small lovable package. Beagles are loyal, kind, playful, and always looking for an adventure. However, when seeking out new adventures they can often get into some bad behavior, which is why they often need a human with some patience to help them excel. They are active, lively dogs who are very gentle and trusting. However, Beagles are notoriously difficult to train. Furthermore, they tend to bark a lot, which may quickly annoy the neighbors. You also need to ensure they get a lot of exercise, otherwise, you could end up with an overweight pet. Lovable, loyal, and entertaining, this is a breed that is known to get along well with children, making it a popular choice as a family pet. 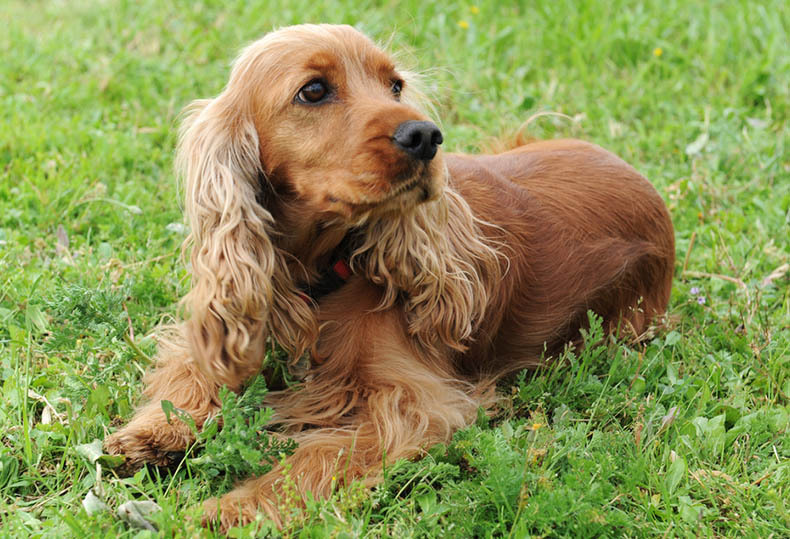 The Cocker Spaniel is known for their calm demeanor, but also for being a sensitive soul. They are especially reactive to scolding or a negative environment, so they need gentle and positive leadership. They are sometimes known to bark excessively (especially when left alone), and be timid around strangers. Early socialization and training can work wonders to curb these behaviors. This is a breed that is energetic, alert, and affectionate. 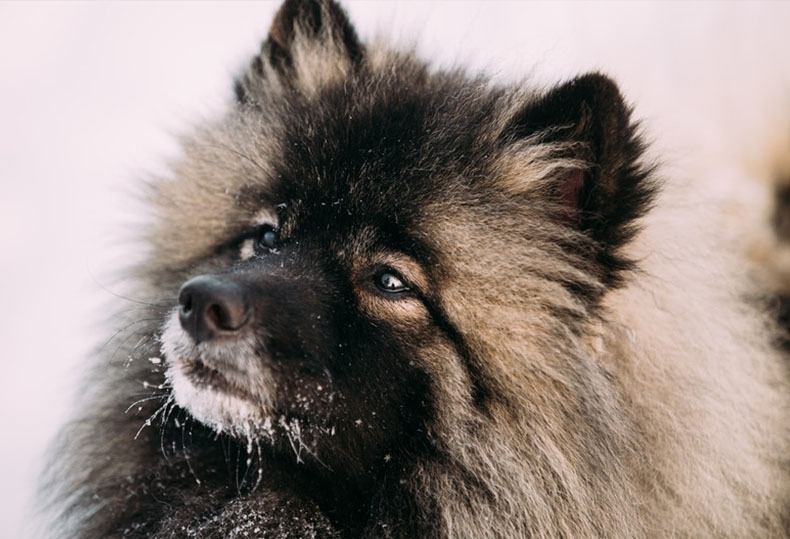 The Keeshond wants nothing more than to spend their entire day with the family. In fact, they are a highly social (and sometimes anxious) dog, so they cannot be left alone for long periods of time. The Keeshond is considered a “Velcro” dog, they’ll follow you around the house like a curious shadow. And while they are eager to please, they can often be stubborn with training, and tend to bark a lot. Also, we should mention this dog is a very heavy shedder, and you’ll be brushing them out daily to gain some sort of fur control. This is a popular family dog with lots of energy. They are gentle and sweet as well as affectionate and playful. Shelties are a working breed, and have a long history of herding and working with farmers. They still have some of those working traits embedded deep in their DNA, so they have a deep urge to have a job. Mix that with their amazing intelligence, and you have a dog that is begging for new challenges and experiences. 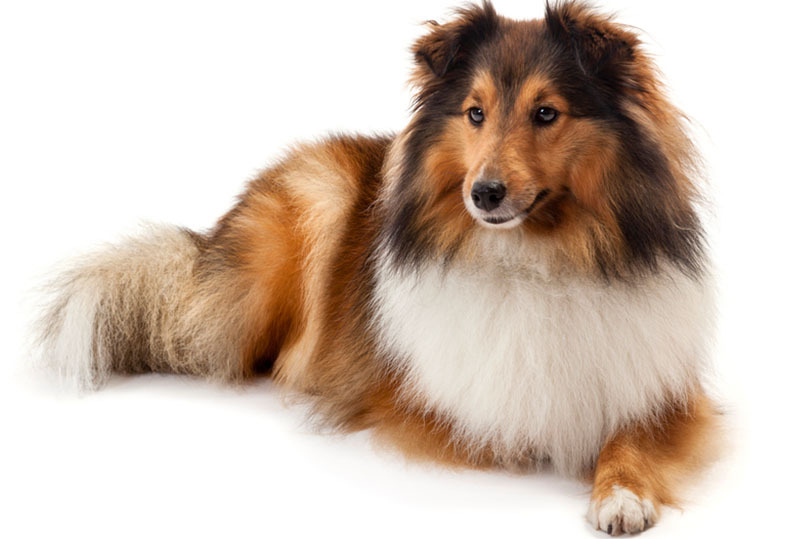 It’s no wonder that Sheltie’s are so prevalent in obedience and rally competitions. This can make them amazing companions, or difficult to handle, depending on how much time you can commit to their needs.